About a month before launch, tune in to this live show and see what this upcoming tactical adventure game is all about. On today's edition of Please Take A Look, our livestream program that explores new and upcoming games, we're playing an early build of Mutant Year Zero: Road to Eden. Mutant Year Zero: Road to Eden is a turn-based tactical game that topped my Best of E3 2018 list and has remained one of my most anticipated games of the year. The game launches December 4, 2018, but we've got our hands on an early build and will be sharing it during live on Twitch. The stream will go live at 5:30 PM ET and a VOD will be embedded when the stream finishes. As always, much love to our wonderful subscribers and followers. These streams can only happen with your support and regular viewings. Another big thanks to those who participate in the Twitch chat. Your interaction means a lot to the streaming folks and is always appreciated. Viewers who have Amazon Prime are given one free Twitch Prime subscription a month if Amazon and Twitch accounts are linked. Check out our guide for more information on how to link your accounts. So excited for this one. I spent half the year playing XCOM2 WotC (and the other half playing Darkest Dungeon) and as good as it was, I consider it only the appetizer for this. 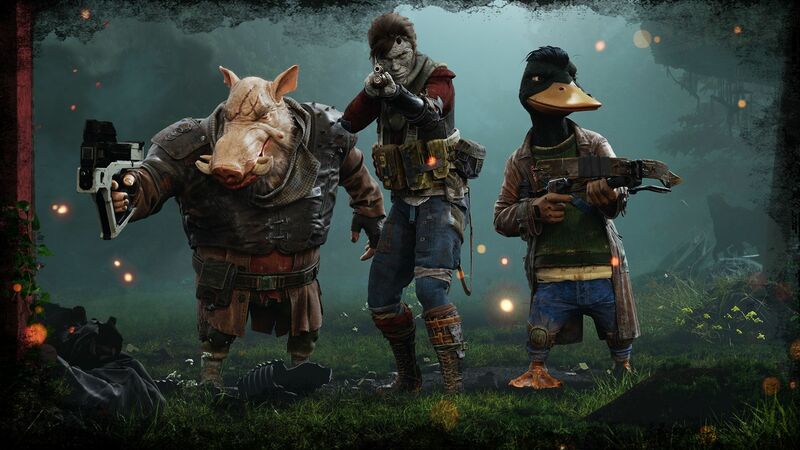 Unless Mutant Year Zero unexpectedly fucks up halfway through in a big way, it’s shaping up to be the coolest tactical RPG I’ve played in many years. Saw the newest footage last night via a Christopher Odd link bolneze posted. Will definitely watch Shack Twitch version when I get home! I'm right there with you! I haven't been able to put as much time into XCOM 2 as I'd like, but I've been waiting for this one.